“When can we go again?” I just miss this place! 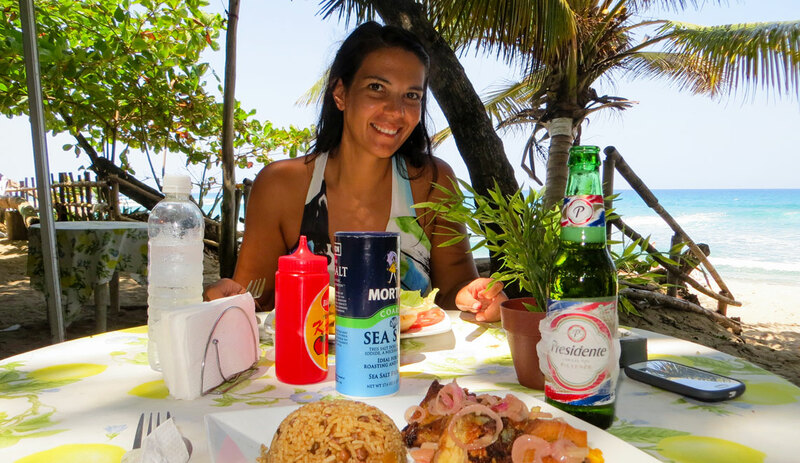 If you like beach town vibes, adventure and to be active, you will love Cabarete too! Most water-sporters I know, visit Cabarete regularly. 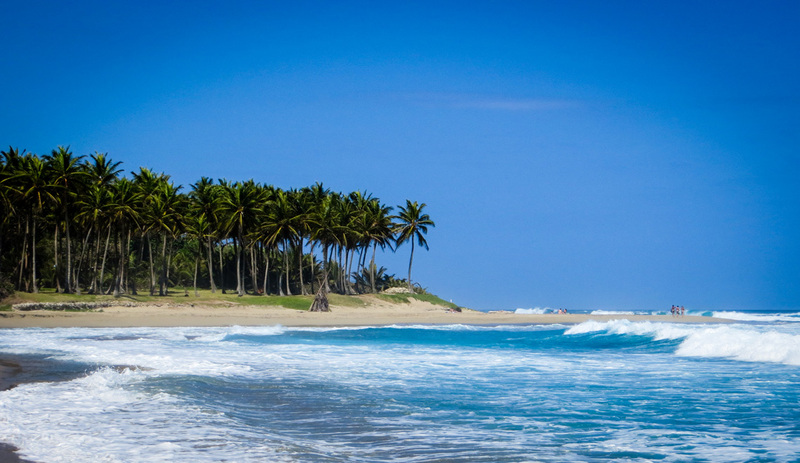 Cabarete has the ideal conditions for kiteboarding, windsurfing, and surfing. But there is actually a lot more to do than surfing. I can’t imagine anyone NOT having a great time in Cabarete. 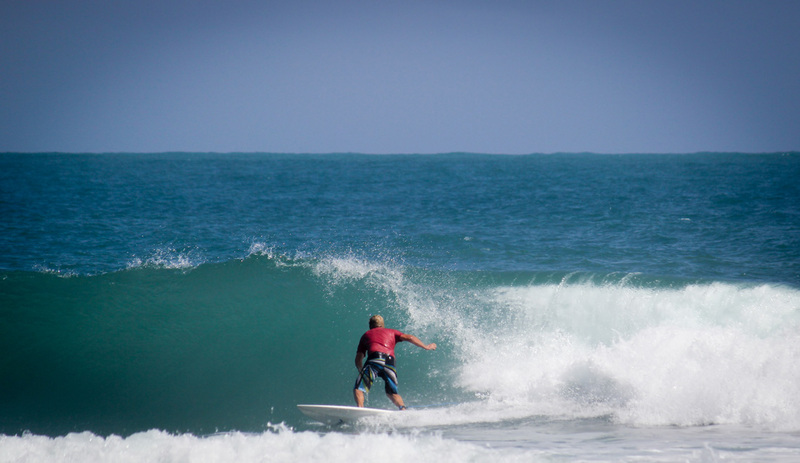 Cabarete is one of the top surfing spots in the world. If you like to be active, start your day surfing the waves at Playa Encuentro. It is located just 5 minutes outside of town. Early mornings is the best time to go for a session. The afternoon, when the wind is turned ‘on’, the waves will crumble and the current gets stronger. 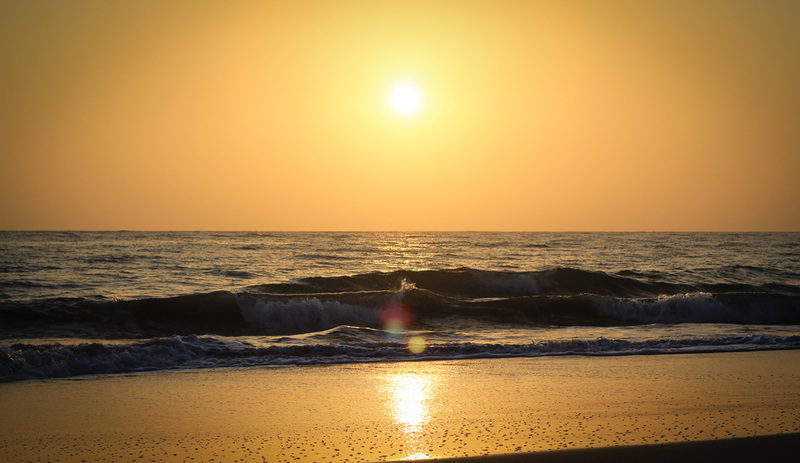 And this spot is known for its silky smooth waves, so set your alarm clock! We rented boards at Pau Hana Surf School. I recommend having lunch at the small sandwich bar right on the beach . I loved to eat my burger in the shade of the trees while looking at the ocean and the surfers. The locals are super friendly and make you feel like you are part of the community. 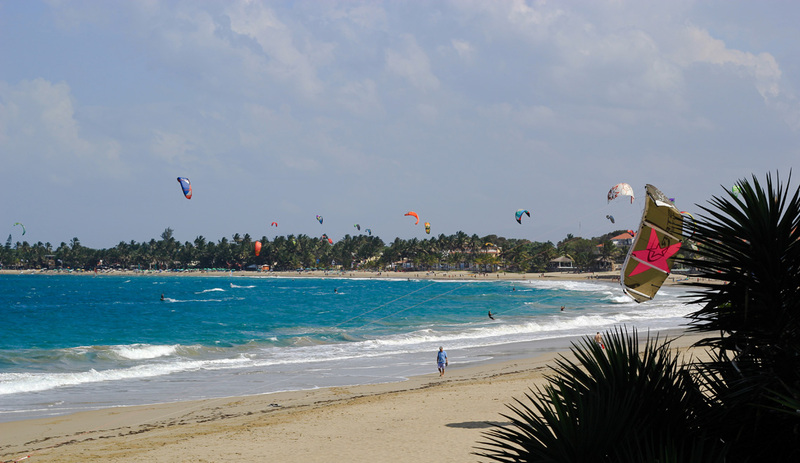 In the afternoon when the wind is at its best, Cabarete attracts hundreds of kiters. With about 300 wind days per year, it is the perfect destination for anything with a sail and a board. Windsurfing isn’t as big as it used to be, but they divide the beach into 2 parts so they aren’t in each other’s way. Windsurfing on the right-hand side of the bay and kite surfers to the left. You see a lot of kites which is a pretty sight while sipping on a Mojito. A new morning. The first glimpse of the sun. There is no better time to stroll along the crest shaped beach in Cabarete. And the sunrise is the best backdrop for pictures. In the afternoon the beach fills up with water-sporters, mostly kiters. When walking down the beach, watch out for kites flying around, especially the beginners that can’t control their kite. The eastern part of the bay has multiple restaurants and bars directly on the beach that offer all kinds of international dining. If you want to get away from all the surfing there are several options. Too cute are the squirrel monkeys at the Monkey jungle. They are not afraid of humans and they will eat out of your hand and sit on your head. 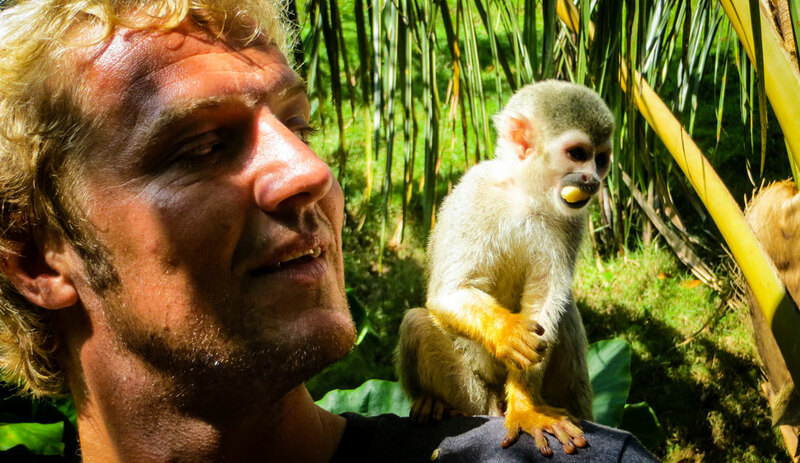 If you haven’t had a monkey on your head once in your life…you are totally missing out. Good to know: all profits from the venue goes to charity. The community can get free medical and dental treatment. So you’re helping a good cause! And the environment the monkeys are in is pretty good. Remember, monkeys are not indigenous in the Dominican Republic, so setting them free is not a good option. I was scared and not sure why I went zip-lining but Sebastiaan talked me into it. I have a huge fear of heights, but this time I couldn’t back out. This was my first experience ever on a 4,500 foot Zip Line with 7 Stations and a free fall at the end. Dropping almost 60 feet into an ancient cave. Once going up, there is only one way down. I always feel stupid when I see elderly people doing something without any hesitation. And the video perfectly shows how scared I was. I do think I have overcome my fear now because it was so much fun! I will most definitely do it again!! In a previous trip, Sebastiaan went to 27 Waterfalls where you follow a river while jumping off of waterfalls. I will never do this but he told me is a MUST-DO in Cabarete for the extreme action junkies! 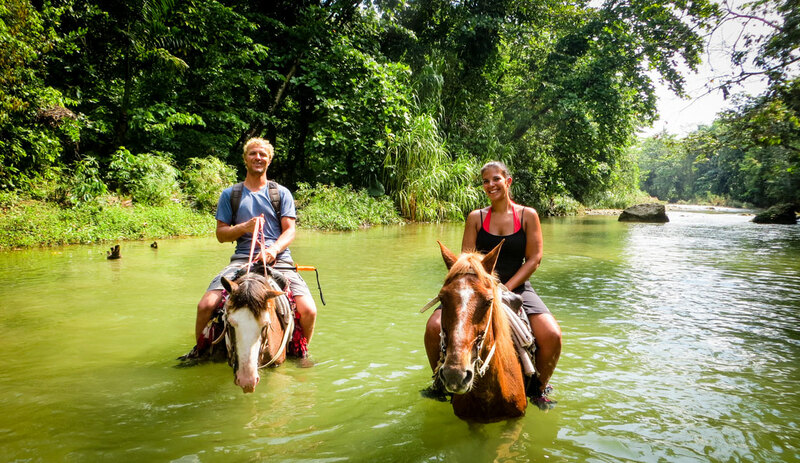 Horseback riding in the Caribbean normally features a romantic beach setting. We went to a ranch riding through the mountains and rivers. And as you can see, no other tourists! I love the roughed nature and horses. But for a split second I doubted my decision: “I am in a strange country, in the middle of nowhere, riding a horse -which I have only done once before-, following this local dude who only speaks a language I can’t understand, leading us in an unknown direction into the mountains while passing by a cattle of wild cows…”. “ What am I doing?” Was this such a good idea? But immediately after I thought how lucky I was to see this beautiful place by horse and I enjoyed every second of being out in this marvelous landscape. We had a great laugh when we asked our guide to film us with the GoPro. It was obvious he had never seen a GoPro before. We ended up with a big piece of film of himself as he thought the lens was the screen. Because the country is very poor, there is quite some crime. You won’t notice much of it as they have armed guards and policemen around in a lot of places. But, keep an eye out, be smart and be safe. Cabarete just ‘feels right’. The locals, the surf vibe, the green surroundings, just all very comforting. We will most definitely go back, and again, and again, and again.